Wow. Not to judge but I’m 36 and just this year got a tattoo that I’ve been waiting a long time to get…mostly because it was in celebration of the birth of my first child (daughter). But this chick will horribly regret this in the very near future if not forever. That is an awful tattoo. Never get a word tattoo. Who gets high? 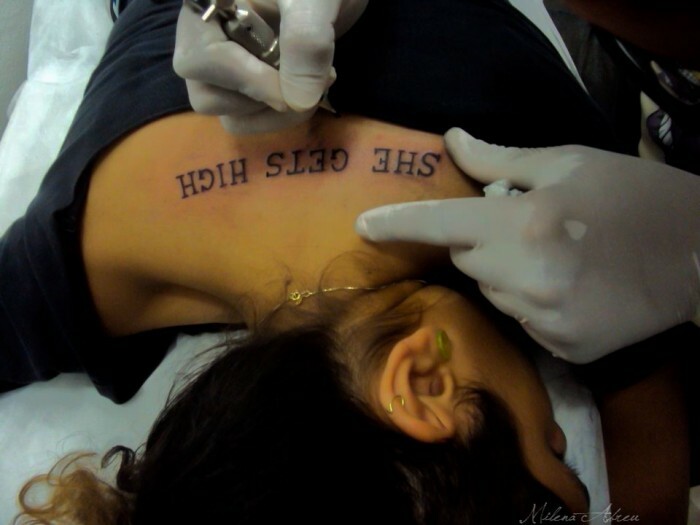 The girl getting the tattoo or some other girl?